The brewery, which is planning an $85 million production facility in Roanoke, will open a tasting room modeled after its public houses in Bend and Portland downtown this summer. The tasting room will be a 315 Market St. and include more than 15 taps of Deschutes beers, growler fill-ups, merchandise, and food. Details are still in the works, but the location will likely include indoor and outdoor seating and ready-to-eat foods crafted by local restaurants. 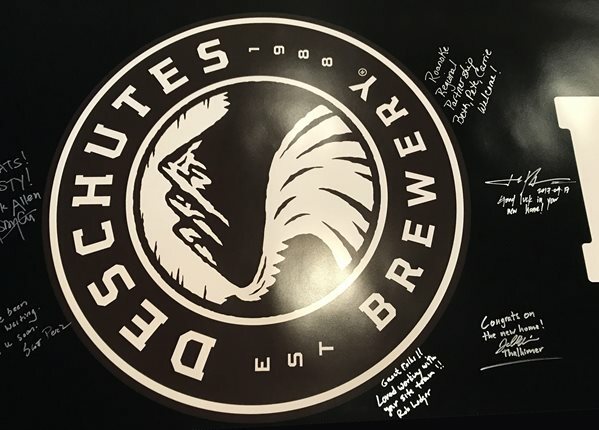 “Roanoke is home to us now and we wanted to put down some roots while we plan for breaking ground on our new brewery east of town,” said Nate Brocious, tours and tasting room manager of Deschutes Brewery. The Roanoke Regional Partnership played a vital role in helping the brewery select the region for its East Coast facility. See the full timeline of the Deschutes project, which was announced in 2016. 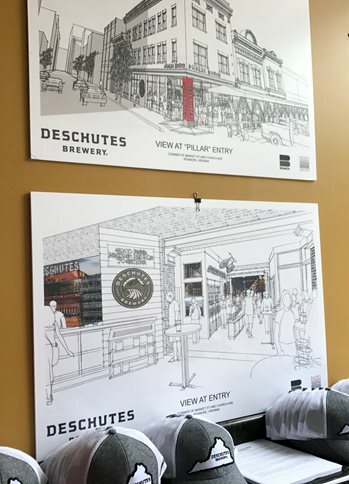 Learn more about plans for the downtown tasting room from Deschutes Brewery. ICYMI – Deschutes Brewery is bringing the Street Pub back to Roanoke this summer. The event, scheduled for July 15, broke records in the Roanoke Region last year for the number of kegs consumed (241) while raising $81,000 for nine local nonprofits.